Abzena plc has selected Sartorius Stedim Biotech as its preferred equipment supplier in the U.S.
Sartorius Stedim Biotech (SSB) have received the prestigious Frost & Sullivan’s 2017 European Customer Service Leadership Award for Bioanalytical Contract Testing Services. 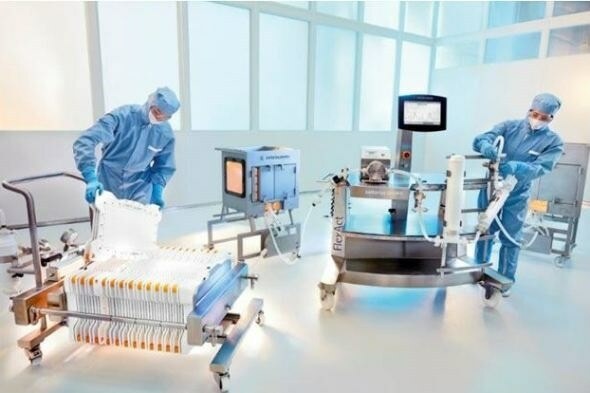 Sartorius Stedim Biotech (SSB), a leading international supplier for the biopharmaceutical industry, has announced the ambr® 15 automated micro bioreactor system combined with a Nova Biomedical (Nova) BioProfile® FLEX2 automated cell culture analyzer. With arium® mini, the laboratory and pharmaceutical equipment supplier Sartorius offers an especially compact ultrapure water system. This newly developed system delivers a flow rate of one liter per minute and is specially designed for ultrapure water requirements of less than 10 liters per day. Sartorius Stedim Biotech (SSB) has announced that TAP Biosystems, part of SSB Group since 2013, and Merck & Co., Inc. have won two awards at the prestigious 2014 BioProcess International (BPI) Awards.